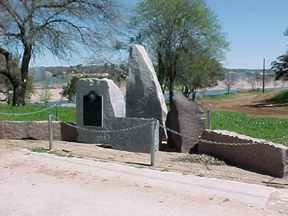 "Where the past lives in the heartland of Texas"
A visit to Llano is an historical event. 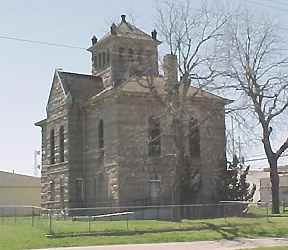 The preservation of the past is a priority in Llano and many of the older buildings have been restored or are in the process of being restored. 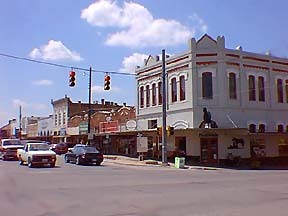 Llano was founded in 1855 and buildings from the 1800s still remain in the city. 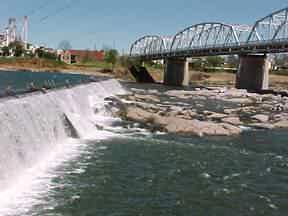 Llano is located on the Llano River about 20 miles west of Lake Buchanan on Highway 29 and 70 miles northwest of Austin on Highway 71. 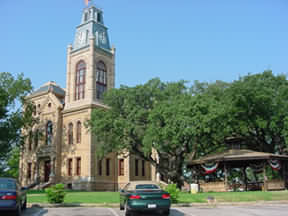 It is the County Seat for Llano County and has a shopping square around the historic Courthouse in the center of town. It has a population of 3,500. Llano county is "The Deer Capital of Texas" and the deer hunters pour into the town during November and December of each year. You will see plenty of deer in Llano County. There are antique and other shops, an art gallery and nice Bed & Breakfast Inns for the tourists. 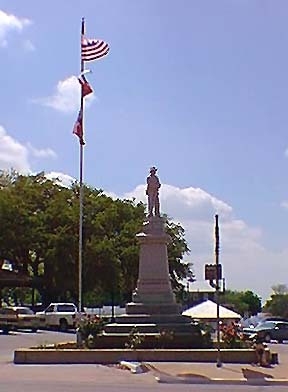 You will enjoy the Texas country atmosphere in this relaxing little city. You will also find the people very friendly and fun to visit with. 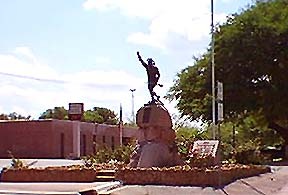 There are many things of interest in the Llano area including: a walking tour of the town to see all of the historical buildings, fishing, hunting, hiking, climbing, rock hunting, bird watching, shopping, golfing at their 18 hole course, boating at the local lakes, driving around the area to see the beautiful scenery, and visiting the local wineries. The Llano County Museum is located at the northeast end of the Llano River Bridge on Highway 16 in the historical Bruhl Drugstore Building. Admission is on a donation basis. 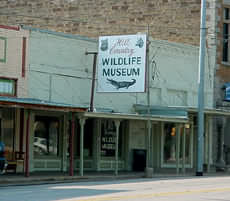 The Hill Country Wildlife Museum is located on the north end of the square across from the courthouse in downtown Llano. Lake Buchanan and Inks Lake are just a 20 minute drive from Llano on Highway 29 east. There are services available on Lake Buchanan such as cabins for rent, RV parks, etc. It is a very pretty drive to the lakes. These luxurious Park Models can be used for lake houses, hunting cabins, guest houses, retirement living, Winter Texan homes, rental income and more.